Professor of Institute of Botany, the Chinese academy of Sciences. Tingyun Kuang has been dedicated to photosynthesis research in the Institute of Botany, the Chinese Academy of Sciences (IBCAS) since 1962, we present here a brief introduction to scientific career and achievements of Tingyun Kuang, one of great scientists with more important contribution in photosynthesis research especially in the field of structure and function of chlorophyll protein supercomplexes of PSI and PSII. Kuang Tingyun, a professor of Institute of Botany, the Chinese academy of Sciences, was born in Zizhong County, Sichuan Province of China in 1934 where She completed her elementary and middle school study. She graduated from the Department of Soil Agricultural Chemistry, Peking Agricultural University in 1956, and obtained a PhD in Biology from Moscow State University in 1962. She worked as a visiting scholar in Charles J. Arntzen’s Laboratory at Michigan State University from 1980 to 1981. She was selected as an academician of the Chinese Academy of Sciences in 1995. She served as a member of the executive commission of the International Society of Photosynthesis Research (1998-2004). 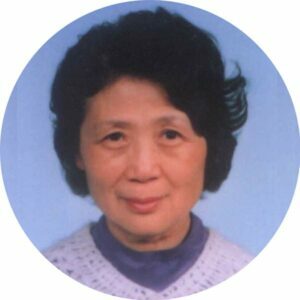 She served a number of roles in national and international societies, including the president of the Botanical Society of China (1998–2002), honorary president of the Botanical Society of China (2003–present), honorary president of the Plant Physiology Society of China (2000–2004), and academician of the International Academy of Sciences for Europe and Asia (2004–present). She also successfully organized the 15th International Congress on Photosynthesis in Beijing in 2010 with her colleagues. Tingyun Kuang has been focused her research on the structure and function of photosynthetic membrane protein complexes of various plants. Here major achievements can be summarized as follows. Professor Kuang started her photosynthetic career from the effects of manganese on the Hill reaction, and found that the activity of oxygen evolution is closely related to the concentration of manganese (Cui et al. 1964). She also investigated the effects of manganese on photophosphorylation and observed that manganese acts on the non-cyclic photophosphorylation rather than the cyclic photophosphorylation (Kuang et al. 1966). In the middle of 1970s, Professor Kuang had an opportunity to visit the United States of America where she learnt the progress in photosynthesis research by visiting several famous photosynthesis laboratories. After returning back from USA, she decided to turn her research interests to the structure and function of photosynthetic membranes. She led her team to study the relationship between the structure and function of thylakoid membranes of plants and promoted the research in thylakoid membranes in China (Kuang et al. 1979; Lin et al. 1980; Li et al. 1986; Wang and Kuang 1988; Wang et al. 1989; Zuo et al. 1991, 1992; Chen et al. 1993, 1994; Shi et al. 1997; Tang et al. 1999; Xu et al. 2000 a, b). In 1981, Professor Kuang proved for the first time that the 21 kDa chlorophyll–protein complex was the origin of the long-wavelength florescence emission band from PSI, while she was working in Charles J. Arntzen’s Laboratory (Kuang et al. 1984). In 2006, she led her team to develop a novel method to isolate the large amount of PSI–LHCI complexes from spinach leaves with a relatively short time (Qin et al. 2006). Since a part of LHCII could be light-harvesting antennas for PSI, they tried to get PSI–LHCI–LHCII super-complex and studied its properties under high light conditions (Qin et al. 2011; Qin et al. 2015). In collaboration with Professor Jian-Ren Shen, Professor Tingyun Kuang’s team successfully crystallized the PSI–LHCI complexes from Pisum sativum (pea) and solved its structure at a resolution of 2.8 Å (Qin et al. 2015). This study provided a firm structural basis for the understanding on the energy transfer and photoprotection mechanisms within the PSI–LHCI super-complex. In 1984, Professor Kuang, collaborated with DJ Kyle, found the movement consequence of its phosphorylation, thereby revealed the lateral migration of light-harvesting chlorophyll protein complexes in the thylakoid membrane as a means for regulation of excitation energy distribution between the two photosystems (Kyle et al. 1984). She also proposed the possible kinetic model of charge separation in the PSII reaction center (Yu et al. 1992; Kuang et al. 1993), discovered the photodamage of His residues and pheophytin a in the PSII reaction center. She and her colleagues proposed a hypothesis for the physiological role of the second electron-transfer branch which is to protect the first branch against the excess excitation energy (Yu et al. 1994, 1995; Shan et al. 1999 a, b; Wang et al. 1999). She also extended her research interests into the mechanism of water oxidation in PSII. In 1999, her team succeeded in predicting the binding mode of calcium in the water oxidation center (WOC) (Zhang et al. 2000). In the subsequent time, her research team reported spectral and functional studies on siphonaxanthin-type light-harvesting complex of photosystem II from Bryopsis corticulans (Chen et al. 2008; Wang et al. 2013). In 2004, her team collaborated with the research group led by Professor Wenrui Chang and reported the crystal structure of spinach light-harvesting complex (LHCII) at 2.72 Å (Liu et al. 2004).